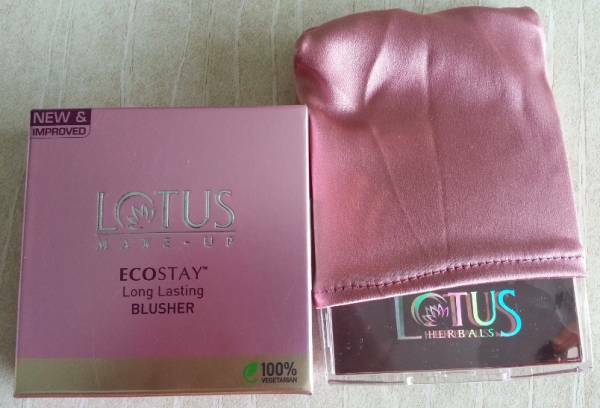 Hi everyone, today I’m going to review a newly launched Lotus Herbals EcoStay Long Lasting Blusher – Dawn Glow. I bought this blusher along with some other products, online from Lotusherbals.com. 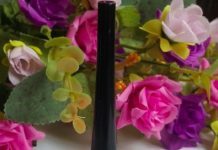 I’ve already shared my experience with Lotus EcoStay Lip Gloss Sun Kiss (Click here to view the full review of Lotus EcoStay Lip Gloss). They have launched this blusher in four different shades named Dawn Glow 605, Pink Petal 607, Rose Kiss 608 and Strawberry Touch 604. All blushers are almost similar to PureStay range blushers, or you can say it is the little improved version of Purestay range. Packaging : It comes in a luxurious square box with mirror finishing. 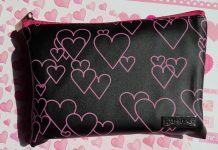 The packaging is sturdy and will come with a cute peach color satin pouch. Packaging includes a big enough inbuilt mirror and a soft applicator brush and is similar to it predecessor PureStay blusher. My Experience : It is a creamy powder based blusher and has a pretty orange color with milky under tone. 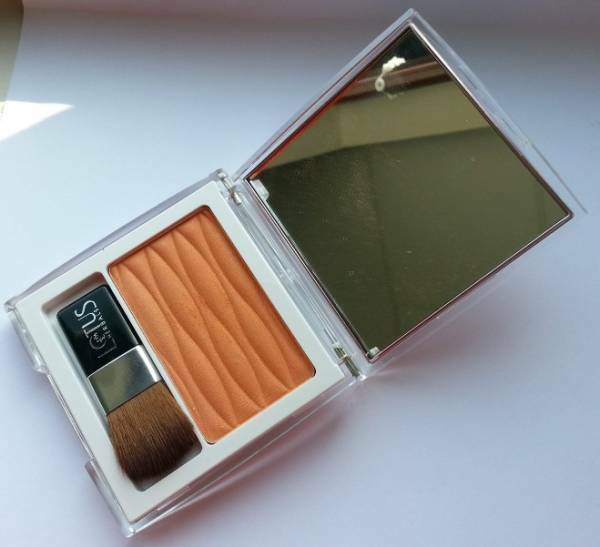 This blusher has a super soft texture and glides very easily on the skin. 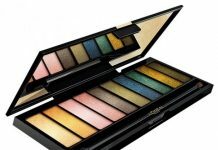 It contains very subtle golden shimmer particles that provide a nice glow on your cheeks. 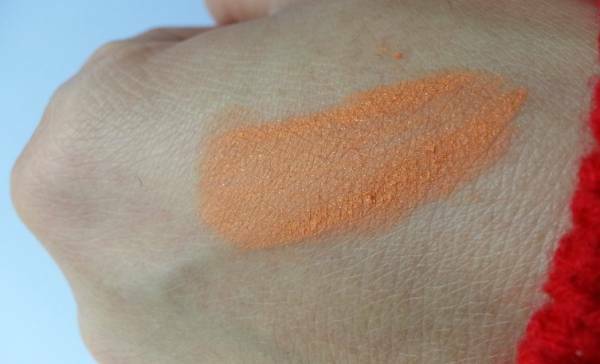 It has a good pigmentation and you need not layer it, as one swipe will give you a nice radiant glow. It has a good staying power and can last for 3-4 hours. You can easily wear this blusher for everyday or party make-ups. It does has a mild fragrance that goes off completely after few seconds. I generally apply blushes with my fingers, you can use blusher brush, it will give you best results in either way. I usually take a small amount of blusher with my ring finger, dab it on my cheeks and blend it to get that perfect finish. Although it is in powder form but there is no fallout and it blends very easily. It gives a very nice glow to my cheeks. This blusher can be easily removed with any mild face wash or you can use cleansing milk or makeup remover. A applicator brush that is provided with the product really has a good quality and you need not to carry an extra brush with you. Although packaging is quite bulky but is very helpful in case you need touch-ups or during travels. This blusher is available in four different shades and all colors are well suitable on Indian skin tone. And the product claims that it does not contain any preservatives. Lotus hasn’t shown any innovation in these new blushes and they are almost the same as the PureStay range. To this point, I don’t understand the need to launch the same product with a different name. Anyways, it is a decent product and I will definitely try at least one other shade. Its matte finishing and warm shade is making it a must buy for ladies with combination – oily skin. 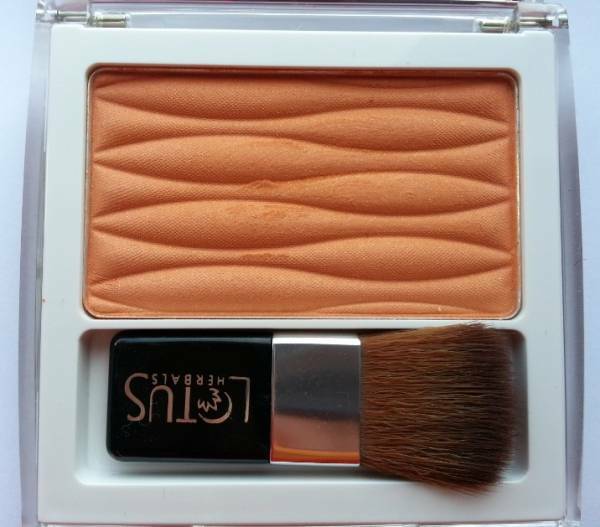 Claim : This preservative free all day wear blusher gives cheeks a radiant, sheer & natural glow. This silky long wearing formula delivers soft, smooth skin without smudging and flaking. Feel the purity all day long. 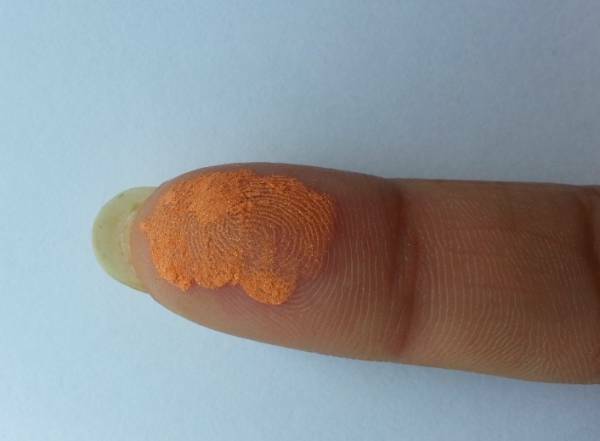 Usage : Apply with brush or using your fingers.